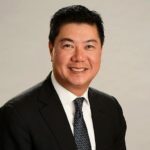 Paul Chin is Executive Vice President and Chief Investment Officer at Otéra Capital. He has over 28 years of experience in all aspects of commercial real estate lending. Prior to joining Otéra, Paul held senior commercial real estate lending positions with a variety of institutions which included HBOS Canada, Colliers International Mortgage Corporation and CIBC Mortgages Inc. Paul oversees all of Otéra’s commercial real estate lending relationships, investments, loan syndications and capital market activities in Canada and the USA. Otéra Capital, a balance sheet lender, offers a full range of commercial real estate financing products which covers both term and construction loans, and operational functions which include loan servicing, asset management and loan syndications. Otéra Capital is a subsidiary of the Caisse de dépôt et placement du Québec, one of the leading institutional fund managers in Canada.